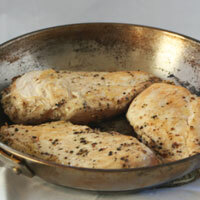 Boneless, skinless chicken breasts are a staple item in most kitchens. They often turn out dry, tough, and flavorless though. Follow the steps below to make them moist, tender, and delicious. Then you'll actually be glad you have a bag of chicken in your freezer. I usually buy frozen chicken. The Kirkland brand from Costco is my favorite. When I buy any other brand of frozen or any fresh chicken, I use the brining and drying process below. It is a lot of work, but it makes it taste great every time. Fresh uncooked chicken is only good for 2-3 days depending on the good by date on the package. 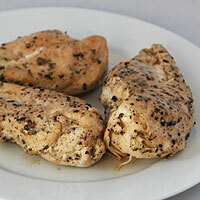 Cooked chicken is good for up to one week refrigerated. Frozen cooked chicken is good for some things. If I have extra chicken, I'll slice or cube and freeze it to use on pastas, pizzas, or salads. I don't like to eat a whole chicken breast this way though. 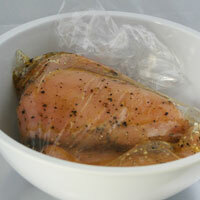 Brining and Drying- Brining and drying can make low quality chicken breasts taste good. High Quality Frozen Chicken- The Kirkland brand from Costco has the best frozen chicken. It doesn't need to be brined and dried, just defrost and move on to marinating and cooking. 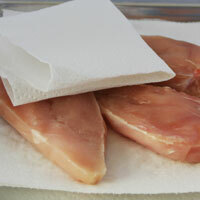 Low Quality Frozen Chicken- Directly from the freezer, I brine the chicken, then dry it. It is then ready for marinating and cooking. 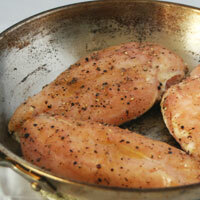 Fresh Chicken- When I buy fresh chicken, I brine and dry it first, then freeze or prepare it. Use the marinating and cooking steps below for preparation. Add the chicken. 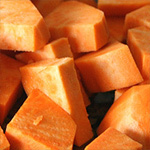 Place in the refrigerator or cover in several cups of ice at room temperature. Brine for 30-45 minutes. 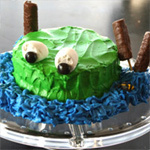 Place a cooling rack on a rimmed baking sheet. Rinse and pat the chicken dry. Place on the rack and refrigerate uncovered for 2-3 hours. 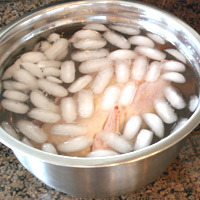 Brining chicken in salted water allows the salt to penetrate it, improving the taste and tenderness. Drying meat makes it more tender. This is an important part of the process. Marinate in a plastic bag up to 8 hours in the refrigerator. 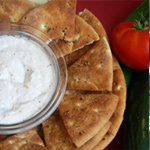 Marinate at least 15 minutes at room temperature if cooking immediately. 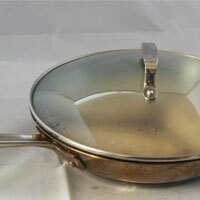 Heat a skillet over medium-high heat. Add the chicken. Cook 45-60 seconds until browned on the first side. Rinsing the chicken removes unwanted residue. Patting the chicken dry allows the marinade to penetrate it better. Marinating meat too long makes it mushy. Eight hours is a good maximum. Marinating meat too little makes is drier and tougher. Use 15 minutes as a minimum in a pinch. I prefer at least 2 hours. The hot skillet sears the meat making it flavorful. Flip and cook another 45-60 seconds until browned. Flip back to the first side and cover. 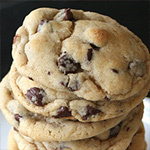 Reduce heat to low-medium. Cook 3-4 minutes. Flip one last time and cook until done (3-4 minutes) Transfer meat to a plate and let rest 5-10 minutes before slicing or serving. 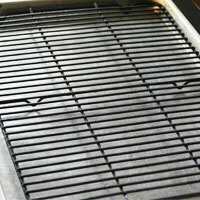 After searing, covering and cooking on a lower heat allows the meat to cook evenly without drying out. It is important to let meat rest before slicing and serving it. The meat continues to cook as it sits. It also allows the juices to distribute evenly.